Saving money by giving those without, a home of their own: How D.C.'s permanent supportive housing program is proving effective. WASHINGTON — A year and three months ago, Debra Stotland Bowden and her husband Anthony Bowden spent their days in a city park and their nights on the marble steps of a local church. Like 11,000 others in D.C., they were homeless. But that changed one summer afternoon when a van from D.C.’s Department of Human Services approached the couple. “The man drove up and hopped out and asked, ‘Does anybody need a place?’” Debra recalls. Since living on the streets, Debra, who is in her 60s, had suffered two strokes. “I was ready to get off the streets,” she says. But she had some initial hesitations. She got in the van anyway, to see what was being offered. Shortly after that ride, she and her husband of nine years had a place to call home. In a quiet brick building in Southeast, D.C., Debra sits on her cream-colored couch, overlooking her outdoor patio. Her apartment walls are decorated with pictures; her kitchen counters, with appliances. Anthony works in the area, and Debra says she plans to get a part-time job as soon as she fully recovers from her stroke. “That’s my next step,” she says. Debra and Anthony are two of 95 formerly homeless Washingtonians that have been placed in housing in the past year through the permanent supportive housing program at Miriam’s Kitchen. The program matches homeless clients with available housing units throughout the city and provides services, such as case management, to help keep them there. “Someone who visits residents on a regular basis to make sure things are going OK and addressing any needs,” says Kierstin Quinsland, director of housing at Miriam’s Kitchen. Anthony, who has been homeless for a number of years, says the support from the program has helped him adjust to his new life. 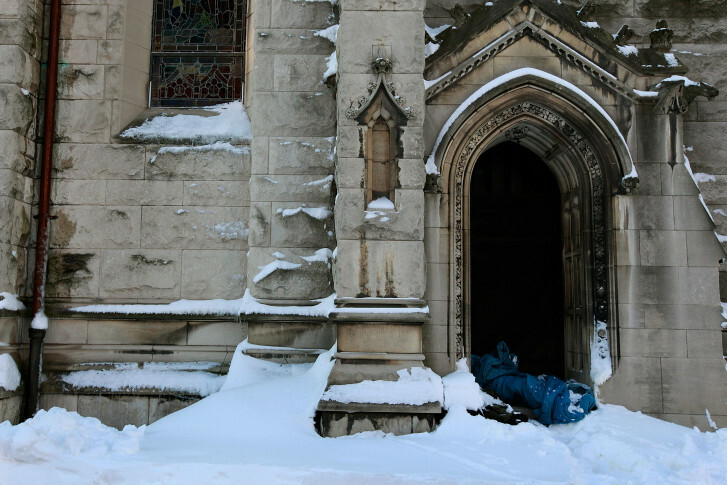 “The transition from being homeless to being not homeless is a challenge by itself,” he says. Miriam’s Kitchen is one of several service providers in the city that helps to place homeless individuals in permanent supportive housing. In the program, which is administered through a contract with the D.C. Department of Human Services, residents pay 30 percent of their income for rent and the rest is subsidized. The supportive services are provided free to the resident. Miriam’s Kitchen reports a 92 percent success rate with the program, and several studies show that providing the homeless with a place to live is more cost effective than allowing them to remain homeless. “Some of these folks who are coming in to our program, and not all, but a lot, have high instances of emergency use or police interactions,” Quinsland says. The city is recognizing the success of the program. Quinsland says new money is coming out to fund an additional 360 permanent supportive housing units. Now, the biggest need is finding landlords with available housing. Max Finland has managed properties in the D.C. area for the past two years, and in that time, he has converted nearly all of his 350 units over to permanent supportive housing. Finland says there are a lot of benefits for landlords who participate in the program. Because the service provider and case manager are in constant communication with the tenant, he’s always aware of any maintenance issues or causes for concern. The case manager helps residents address mental health needs and substance abuse issues “before it becomes an issue for eviction,” Quinsland explains. Plus, Finland says, each month, he’s guaranteed a rent check through the voucher-based program. “The other part is, you don’t have to chase money. I hate chasing money,” he says. He admits there is an escalated burden of inspection, since the program is run through the city, and quite a bit of paperwork, but he says it’s all worth it. 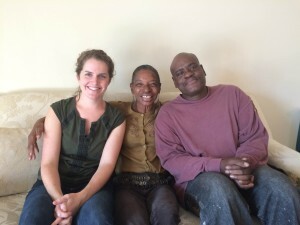 “At the end of the day, it feels really good.” And having “great tenants,” like Debra and Anthony, always helps. “Their apartment looks better now than it did when they first walked in. And we couldn’t ask for anything more than that,” Finland says. In addition to finding more landlords, Anthony says another hurdle is convincing some members of the homeless community to participate in the permanent supportive housing program. He knows firsthand, because he felt that way too. But he says he and Debra are glad they took a leap of faith, and they hope more landlords give other members of the homeless community the opportunity to feel the same way.